Since 1910, Audi has been one of the top names in high-performance luxury vehicles. 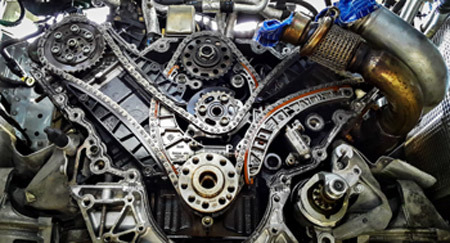 Trafton’s Foreign Auto knows what it takes to keep your new or classic Audi running at peak performance. We hire only the best factory trained and passionate mechanics to work on your vehicle. That’s one of the reasons why Trafton’s Foreign Auto has been recognized as the top name in Audi repair in Portland. 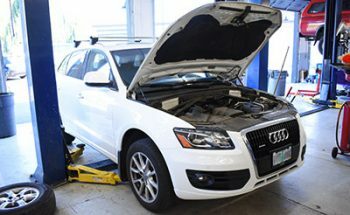 Trafton’s expert Audi technicians understand how important and special your vehicle is to you. We make sure to keep the same level of care for your Audi as we do for our own. At Trafton’s Foreign Auto, we are Audi enthusiasts. Our factory trained and certified technicians understand how much you value your Audi, and that’s why we keep competitive pricing for our high level of service on your Audi. Did you recently buy a newer model Audi? Come in today for an inspection and let Trafton’s schedule your regular maintenance. Our factory trained and certified technicians can keep your Audi at peak performance with regularly scheduled maintenance visits that won’t charge you nearly as much as other shops and dealerships and will give it the care and proper maintenance it deserves. No Matter the Repair, Trafton’s Can Handle It! Call Us Today For All Your Audi Repair Needs! And More! There Isn’t A Job We Can’t Handle! We have an experienced and factory certified staff who are all just as passionate about your Audi as you are! Don’t let someone who isn’t passionate about your vehicle work on it, come to the Audi repair experts at Trafton’s! Since 1978, Trafton’s has been the top name for Audi repair in Portland. We make sure that we have the most qualified and reputable staff on hand to fix any of your specific Audi needs. We know that you care about the performance of your German engineered vehicle, and we do too. That’s why we pride ourselves on providing the highest quality of customer service, as well as the highest quality of mechanical work. Your Audi deserves to run at it’s highest level of performance possible, so when your Audi needs work done be sure to call Trafton’s Foreign Auto, Portland’s Audi repair specialists!